I seem to have quite a few readers from the UK on my blog. 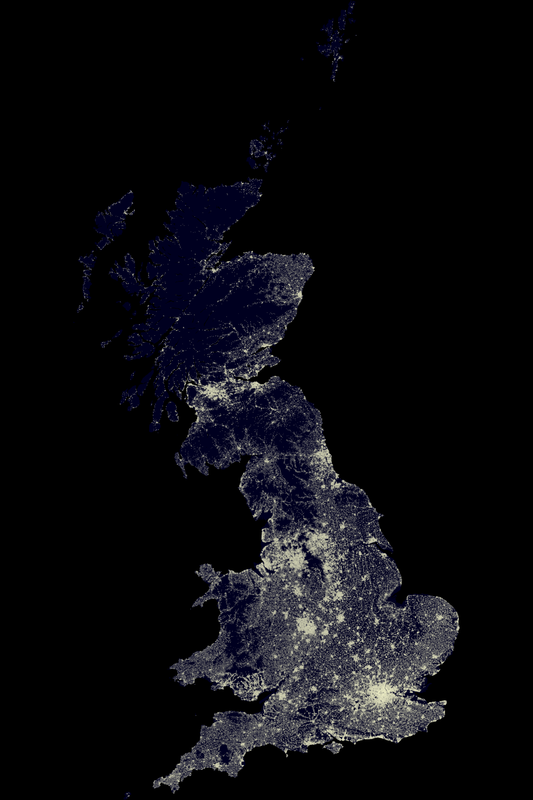 After my post last week showing the US at Night I got requests for a UK version. I don’t have a lot of data for the UK right now, so here is a quick map with the same methodology for UK population. When I get a copy of the UK census data, I will produce a map set with a bunch of variables like I did for the US. Categories: Alteryx | Tags: Demographics, Map, UK | Permalink.